Yes another animal bringing shame on her profession and her country. If we find her this is enough evidence to get her teaching license removed and a large fine. Maybe even a suspended hail sentence. If you can know her name or the school in the video please contact us. One reason why the abuse of children in Thai schools continues can be highlighted by the video below from a popular Thai TV series. In the programme the teacher is depicted as a caring and loving teacher. However, as you can see she canes a girl for smoking. Despite the fact that the image they try to portray is that the teacher does this from “love” the FACT is that they openly show a teacher committing a criminal act. Teachers who break the law, for whatever reason, should not be working in our schools. I cannot for one minute believe that TV and movie producers would show such things if they actually KNEW that she is committing the criminal act of assault under current Thai law. The only conclusion is that they are NOT aware it is illegal. This misconception then filters down to the viewers themselves, both student and parents, who are led to believe that it is not only legal but normal. 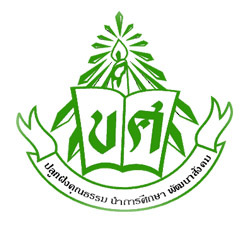 We receive more complaints and information about this school than any other school in Thailand. Illegal corporal punishment seems to be just a way of life at this school. The most recent incident reported is covered on this web page. 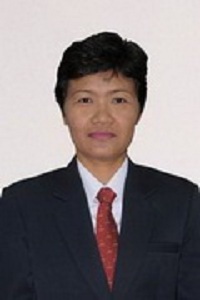 The teacher concerned is Ms. Wilawan Eaamvijarn. Her defense, when confronted was that she is permitted to hit children under MoE regulations. This probably explains why it is so common at this school if the teachers believe it is lawful. We remind Assumption College and in particular Ms. Wilawan that Ministry of Education regulations STRICTLY forbid al forms of corporal punishment in Thai schools. This includes using hand or stick, hard or soft. Ms. Wilawan is suspended for two months pending investigation and we are pushing the school and the parents concerned to take her to court. She should be in a jail not in a classroom teaching our children. Let us first establish that a school “director” in Thailand is what many would call the headmaster or principal in other country – not director as in company director. One of the biggest problems faced in the implemting of the law in schools is that only the individual who commits the assault can currently be prosecuted, fined, jailed etc. ALL school directors know the law, they are sent regular MoE bulletins reminding them! However many do not notify the teachers and then turn a blind eye or, in extreme cases, actually encourage it. They know very well that if the teacher is caught nothing can be done to them. There have been severalk cases recently where the teachers concerned have been told by their director that an “agreement” exists with parent , despite the fact that such agreements are unlawful. In some cases this is negligence on the part of the directors but in others it is a deliberate ploy to hide the truth from teachers. Usually when a case becomes “high profile” the directors simply deny all knowledge and leave the teacher concerned to face the consequences alone. There is an argument to create a civil law (at the moment the only remedy is in criminal law) to make school directors and owners liabel for the actions of their employees. We believe that if directors could be charged, and punished, they would make sure it stops fast. There is nothing like a threat to a directors finances to make them take action!